PVH Corp has announced a partnership with innovation platform and start-up connector, Plug and Play. Venstar announced that its Explorer and Explorer Mini thermostats and Skyport Cloud Services are being used by Black Diamond Lodge to remotely control temperatures and manage energy costs. AgilOne today announced major advances in machine learning, as well as enhanced reporting capabilities and new features to maximize the profitability and results of couponing programs. Bamboo Rose announces today that Loblaw has partnered with Bamboo Rose to build, deploy, and sustain a world-class product lifecycle management tool. Out of stocks cost retailers worldwide a whopping $984 billion in missed sales, including $145 billion in North America alone, according to IHL Group. Fanatics and financial services firm Synchrony have partnered on a Fanatics-branded credit card, which the companies plan to make available in the summer of 2019. Logile, Inc. today announced that several North and Latin American industry-leading retailers have implemented Logile’s AI and machine-learning Enterprise Workforce Management solutions. Aptos, Inc. today announced that Original Marines has selected Aptos Merchandise Financial Planning and Assortment Planning solutions. A key takeaway of the holiday season was that the so-called “retail apocalypse” has been overstated, and consumers have embraced new ways of shopping. Physical stores are playing a key role in helping the industry thrive through the growing popularity of conveniences such as “buy online, pick up in store” (BOPIS) options, as well as advanced mobile integrations. YouCam Makeup app developer Perfect Corp. teamed up with Ulta Beauty and Cosmopolitan magazine for online and in-store rollouts of its latest artificial intelligence and augmented reality technology. The big-box retailer kicked off what it describes as its largest and first-ever cross-platform marketing campaign for Walmart Grocery Pickup. Goodwill of Central and Northern Arizona (GCNA) knew they needed to replace their aging POS system. Microsoft Dynamics RMS had first been implemented in 2003 when the Phoenix-based organization had just 20 stores. The organization has since grown to over 90 stores, with more planned. SAP SE today announced that it has completed its previously announced acquisition of Qualtrics International Inc.
“Safe spaces” are a big topic these days, and Amazon wants to create them for drones. Amazon Prime Air researchers are developing a traffic management system designed to create safe airspace for drones. Hotel Internet Services announced its implementation of advanced guestroom content streaming and voice control technology at the Ambassador Hotel Tulsa with the adoption of BeyondTV and HIS Wi-Fi. Branded Online and bebe today unveiled the new online store and enhanced loyalty program. Big Lots has selected Reflexis Workforce Scheduler to increase the efficiency and accuracy of scheduling, forecasting and budgeting. 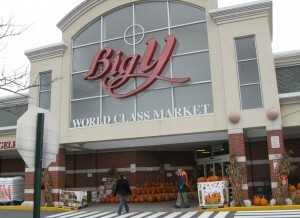 Big Y Foods plans to implement the Fujitsu Fresco Grocery with Fuel POS solution chain-wide. Bloomingdale’s has added two high-definition floor-to-ceiling video walls within its“Carousel @ Bloomingdale’s” store-within-a-store Manhattan boutique. Carrefour will use the SAS Viya, an analytics platform that uses artificial intelligence (AI) technology, as a way to gain insight from data generated in its stores, warehouses and online orders. ProfitSword announced the implementation of its ProfitSage operational and financial reporting solution by Chesapeake Hospitality. Chico's Fas has begun to work on the strategic initiatives to build on the company's omni-channel platform and ensure that it has the agility, customer service and speed needed for long-term success in a competitive retail environment. Home Depot Is Rehabbing The Shopper Experience. Can Other Retailers Do The Same? IBM launched new AI-powered innovations to help the retail industry accelerate customer experience by providing tools designed to optimize worker and business performance. NRF's annual Big Show can be overwhelming, so every year readers check in with RIS to see catch up on all the retail news, trends and sessions they might have missed. To help retailers find the right voice to trust, Vend has released its annual “Top 100 Retail Influencers” report. Microlearning Transformed Training, Communication,and Corporate Culture for 45K Southeastern Grocers Associates. 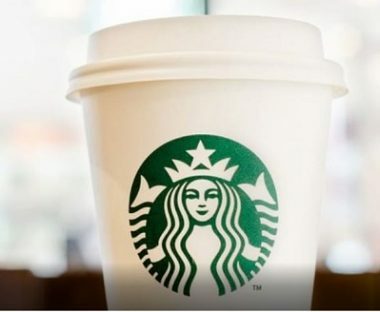 Starbucks is adding more cities to its delivery network via a partnership with Uber Eats. Subway has expanded its international license with Mobivity Holdings Corp., bringing Mobivity’s targeted print advertising, data aggregation and insight engine to restaurants in Canada, Ireland and the United Kingdom. A Walmart supply chain first — a high-tech consolidation center — will make its debut this summer. Tops Markets LLC will deploy the Itasca Magic computer-generated ordering, inventory optimization and state-of-the-art direct store delivery (DSD) receiving solution at all of its locations. Walmart will add four last-mile delivery providers to its grocery delivery fleet, the retailer announced. 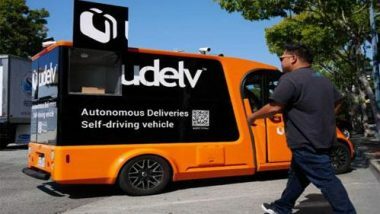 Point Pickup, Skipcart, AxleHire and Roadie will start delivering Walmart grocery orders to customers in four states with further expansions to be announced "in the coming weeks."